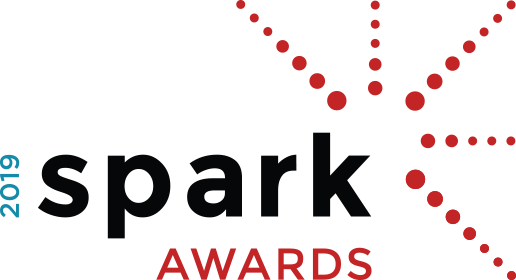 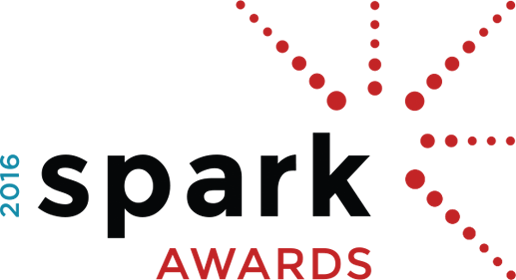 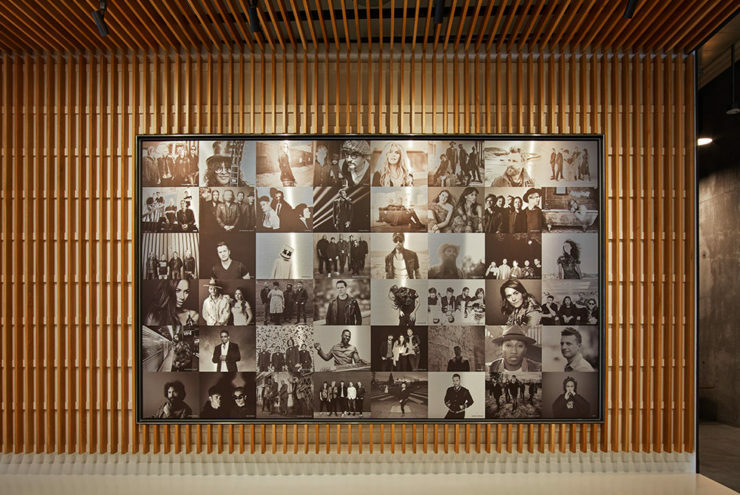 Red Light Management is the largest independent music management company in the world and, as such, the decision to relocate from the iconic Sunset Boulevard, to a new headquarters in Culver City was a significant one. 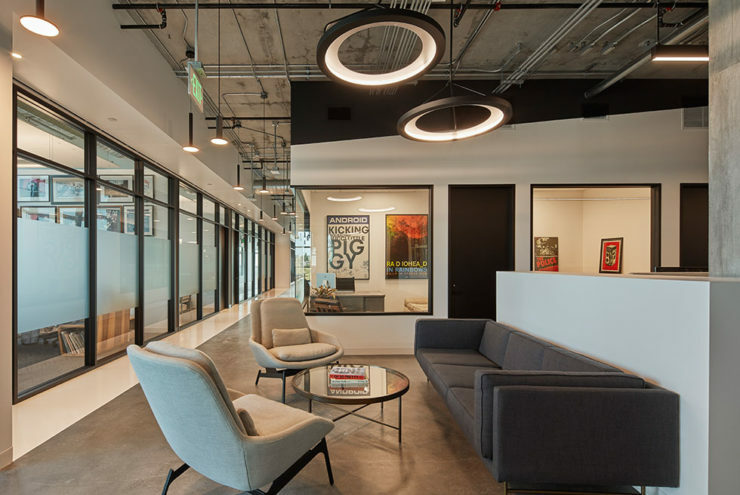 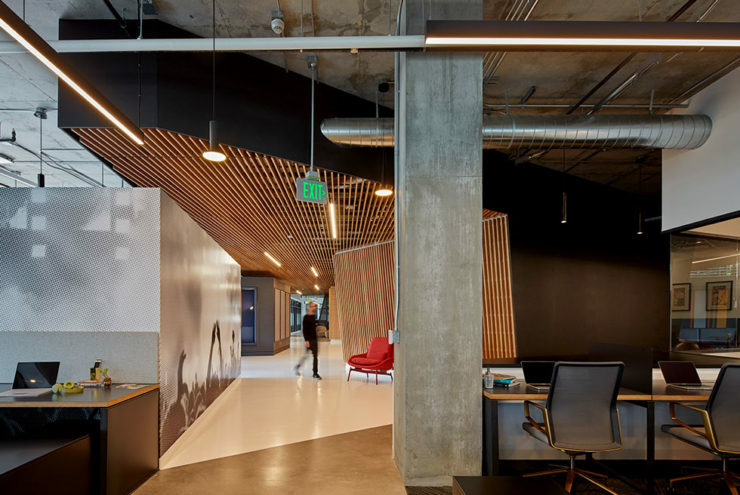 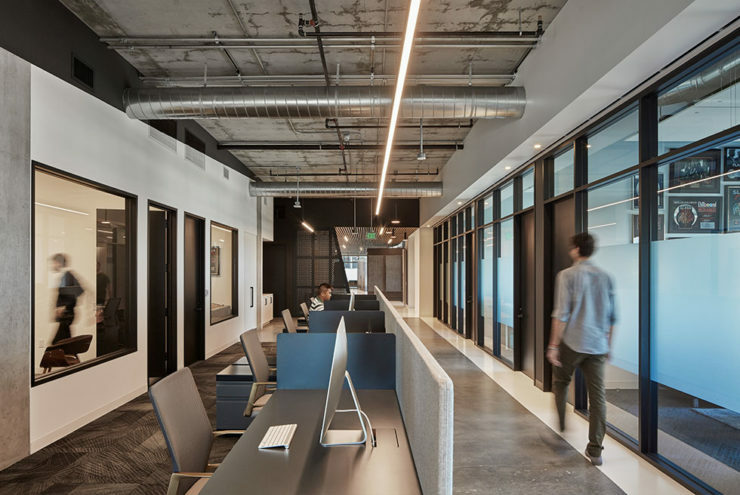 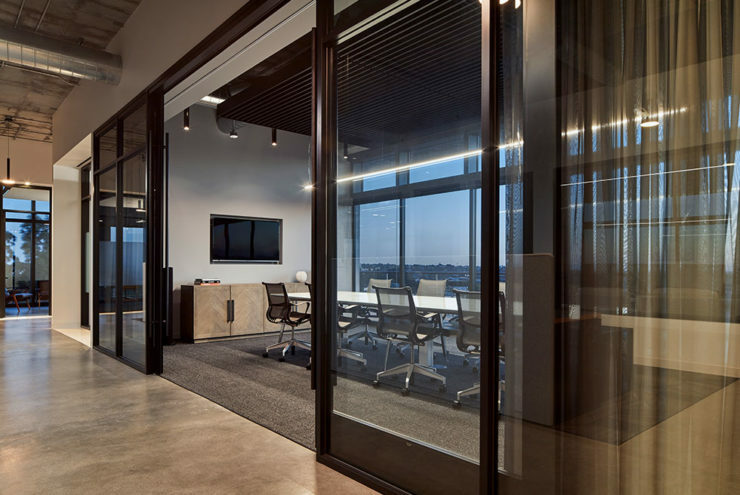 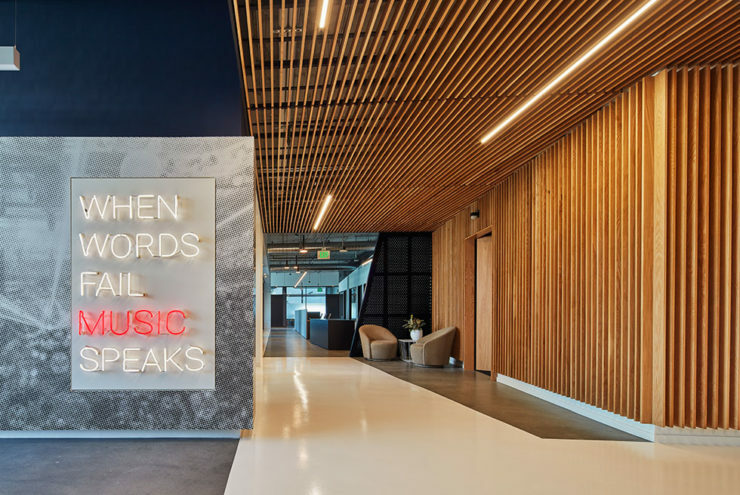 The office was designed to engage music professionals and enthusiasts alike, through the addition of vibrant, open gathering spaces along with more private spaces including a Listening Lounge and Content Creation studio. 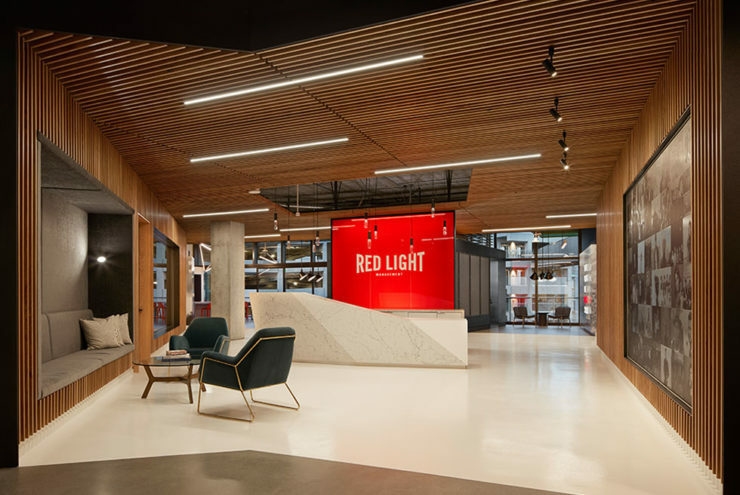 A bold red glass element in the entry featuring the company’s logo establishes a central anchor to the space and makes a strong first impression upon entry. 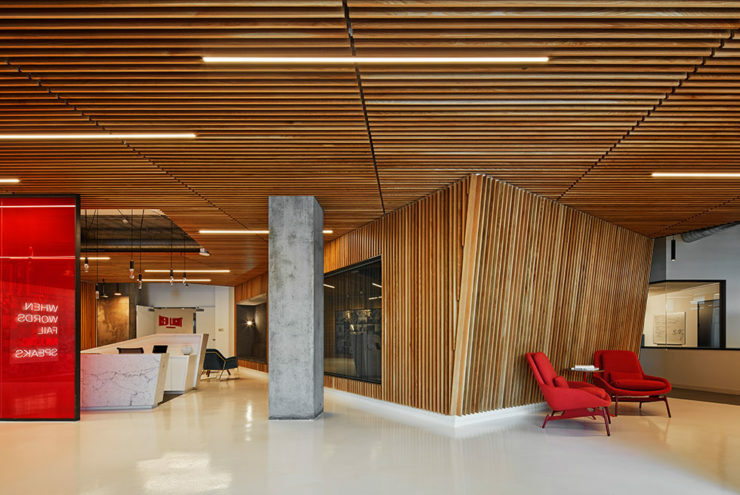 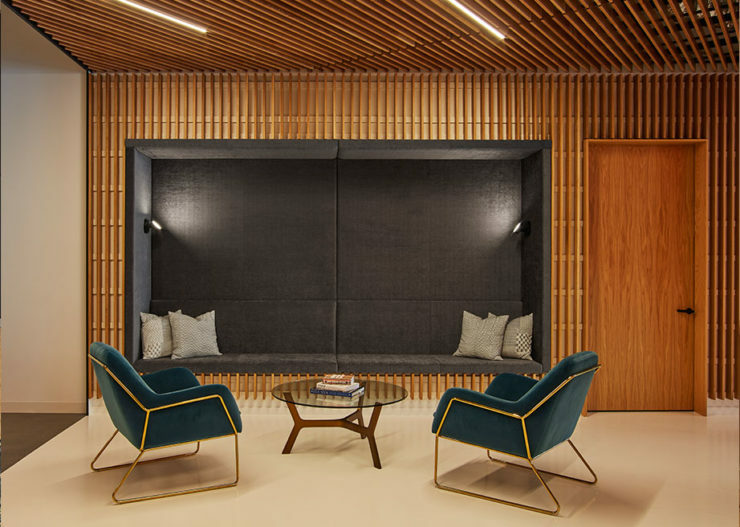 Inspired by the company’s rich music heritage, the design palette exudes a professional yet relaxed ambience, combining natural elements of custom floor-to-ceiling white oak wood slats, textured velvet with blackened steel and glass details. 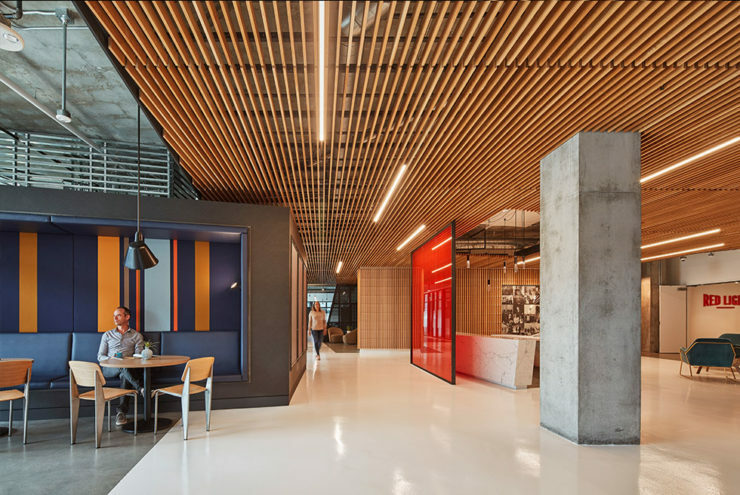 Wood architectural elements are accentuated with the white epoxy floor and punctuated by subtly inserted programmatic elements. 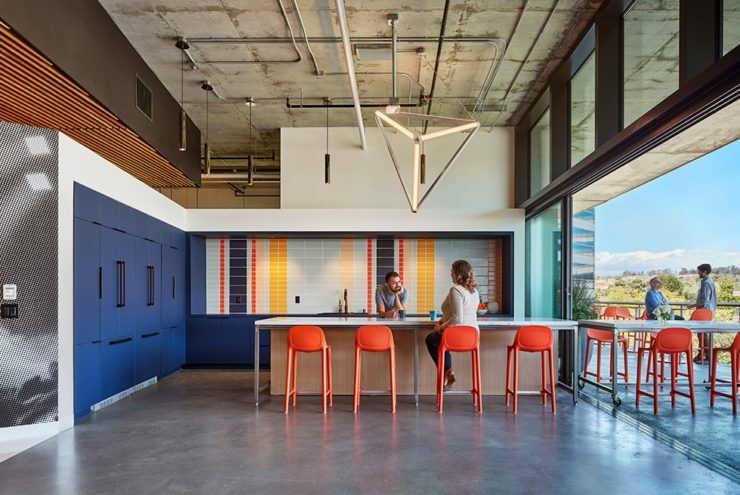 Carefully selected details including colored tile backsplash with matching fabric benches, decorative pendant lighting, and ancillary furniture throughout bring a sophisticated wit. 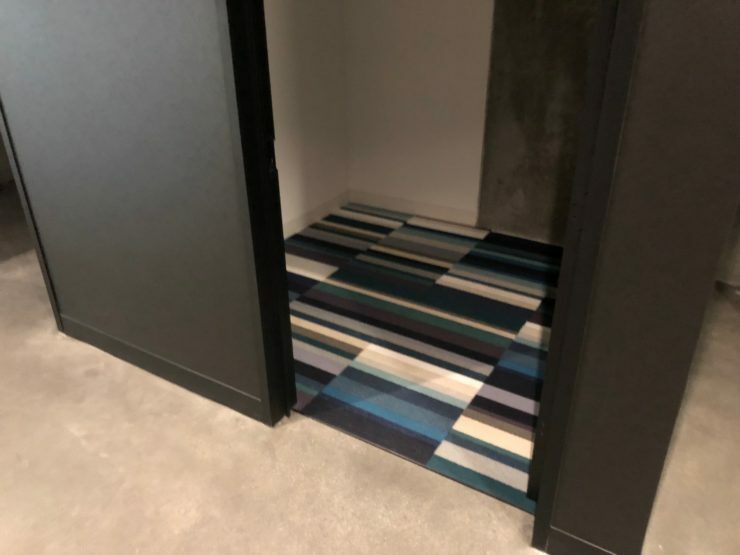 High-end floor finishes highlight the interior spaces which include carpet tiles from Bentley Mills, Interface and FLOR respectively. 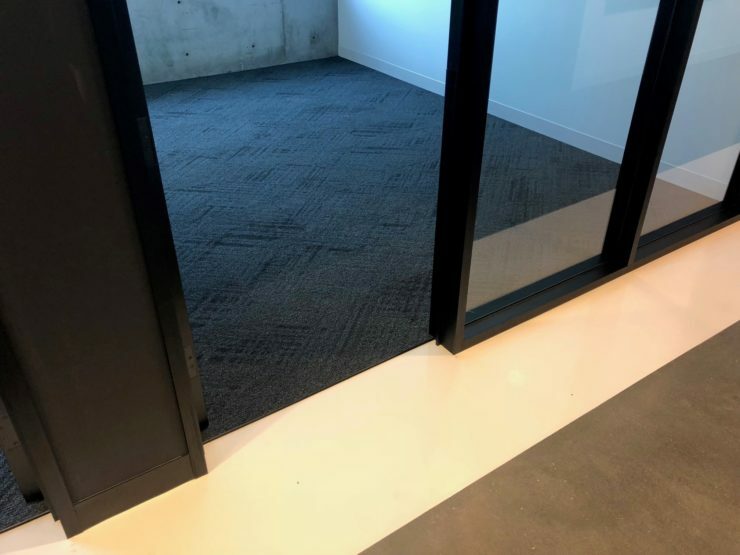 Polished Concrete and Epoxy flooring were used interchangeably to create a modern, clean environment. 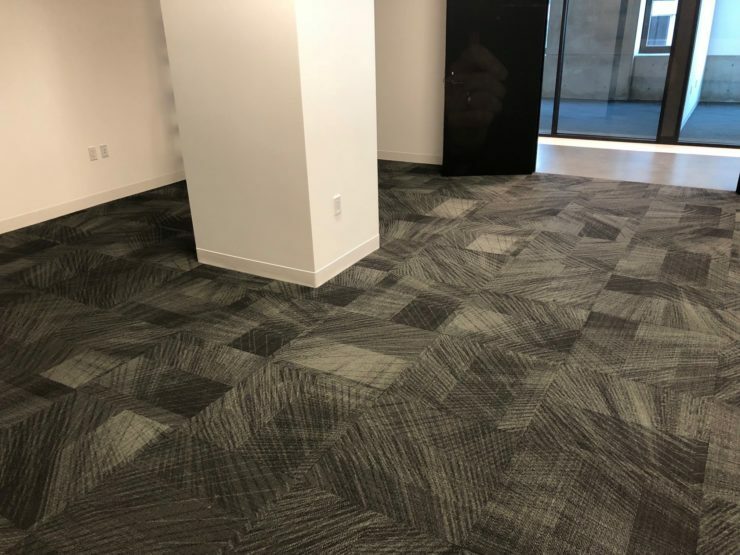 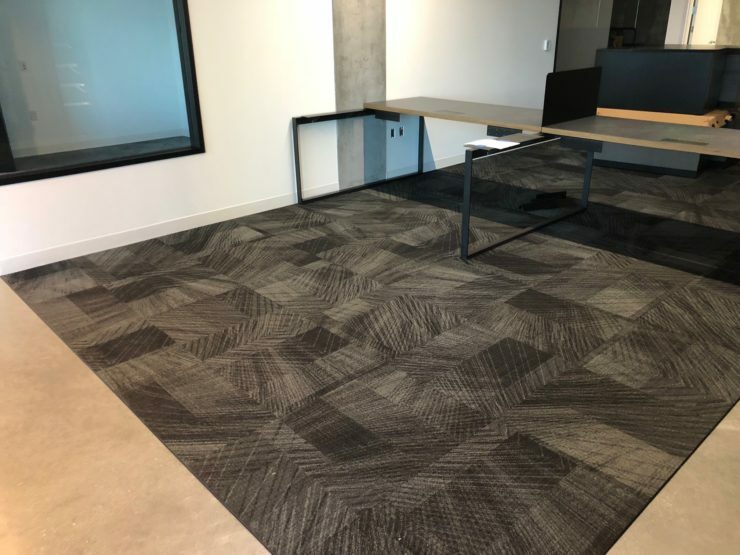 Johnsonite rubber base, Armstrong SDT, AVA LVT and Genotek transitions comprise the other floor coverings used along with Ardex underlayments.